The space is much smaller than its Bushwick counterpart, but it still packs a punch. 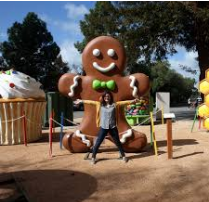 We love to report on neighborhood success stories, and this is a great one. 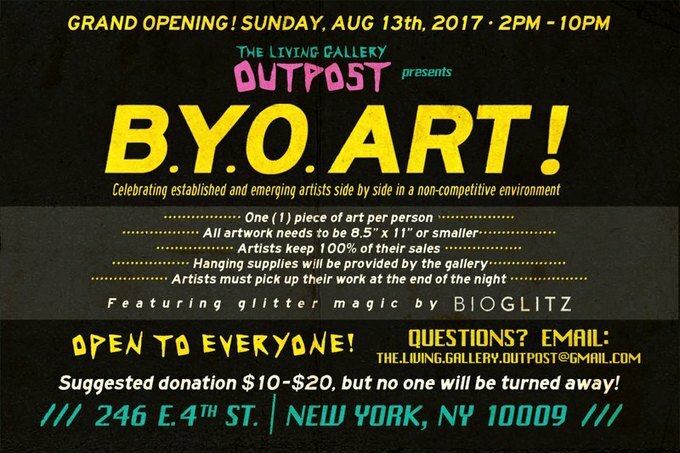 The Living Gallery, one of our favorite art galleries and event spaces on Broadway, is expanding across the East River to open a second location on the Lower East Side. The new space is co-owned by Nyssa Frank (of the original gallery), Joseph Meloy, and Alexandria Hodgkins (a now-married couple that met at the original Broadway space). Together, the trio stumbled across their new space and signed paperwork for it within one week this past June. 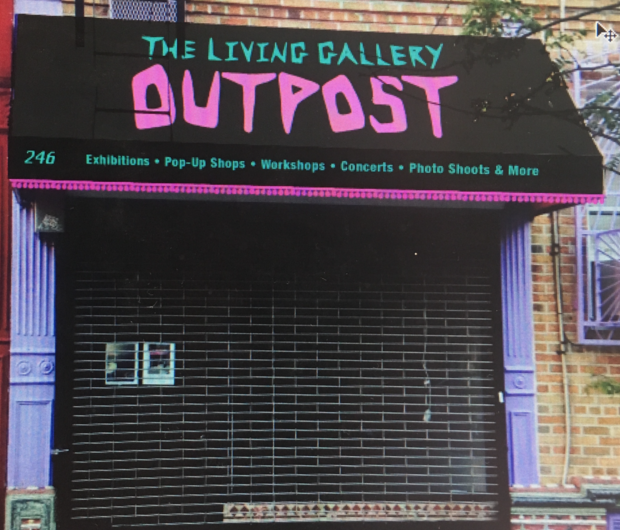 Anyone familiar with the Bushwick location also knows that The Living Gallery provides space to community organizations, frequently hosting potlucks, coat drives, and student art shows. Frank tells Bushwick Daily the new location will function in the same way as the first one. She adds, "The main difference is that I have two epic partners for this second space, one who is an artist and born and raised in the Lower East Side, and the second is a community activist who actually was a part of Arts In Bushwick's community outreach and kid's programing!!" The grand opening celebration takes place on August 13 from 2 to 10 p.m., and it is a BYOA (Bring Your Own Art) event. Featured image courtesy of Nyssa Frank.